The Road Ranger Blog: More From the Bottom of the Barrel. 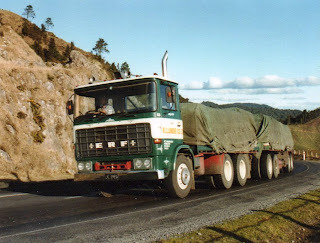 Some of these are from my very early truck photo and my use of a camera needed a bit more practice. My apologies for any blurriness. 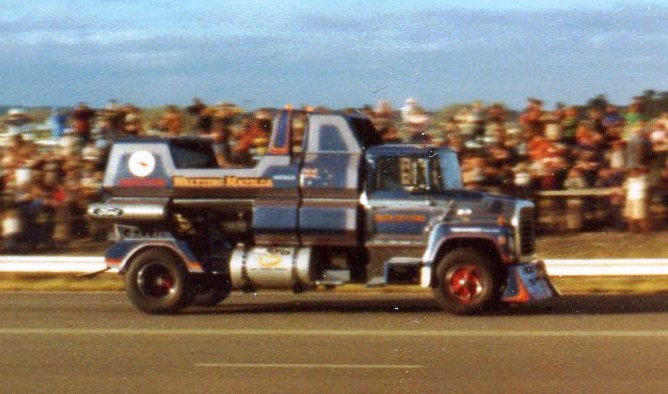 "Waltzing Matilda" came to NZ in the 80s and did some demonstration runs. These pics were taken at Thunder Park. This is a return run with the air brake in the deployed position. 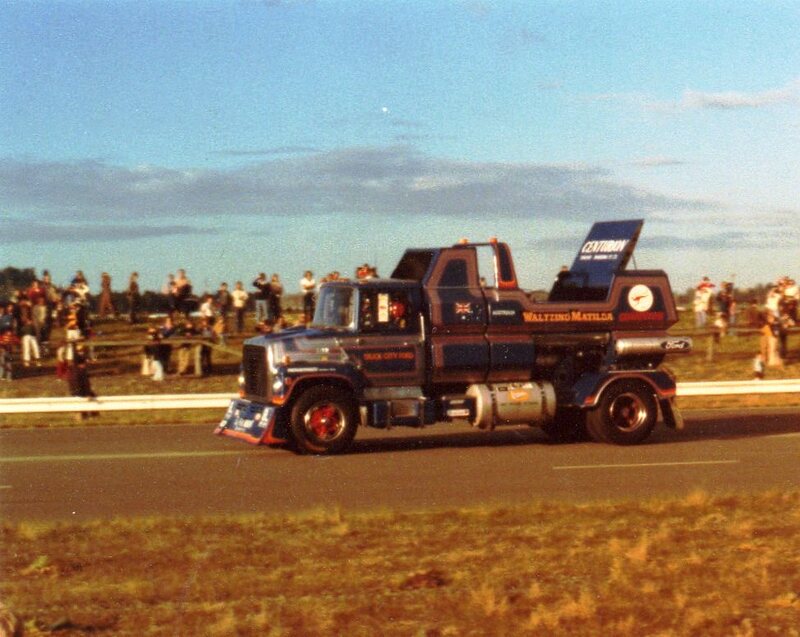 Air brake now retracted and heading in the correct direction down the track. The runs were not done and full power, but I can't remember why this was. 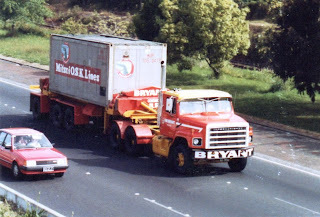 "Barney Boy" and "Little Brown Jug" were a matching pair of (I think) NZ's first aerodynes. This is "Barney Boy", snapped in the southern Hawkes Bay area. International "S" line on Auckland's Southern Motorway. Shot from the car as we waited for the wide load to pass. 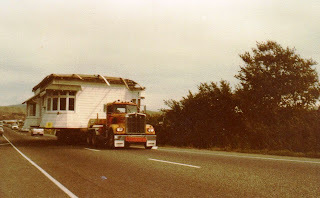 A W900 Kenworth moves house. 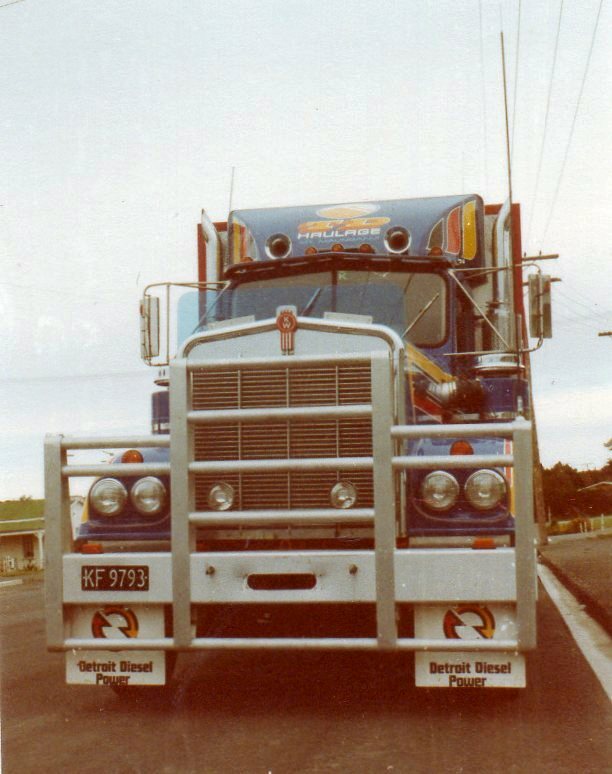 Australian made International 3070. This one belonged to Burling Transport. 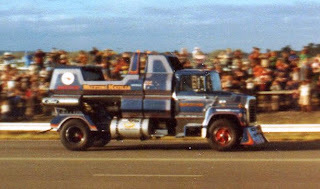 Powered by the big 903 Cummins V8 with 15 speeds of Fuller Roadranger. 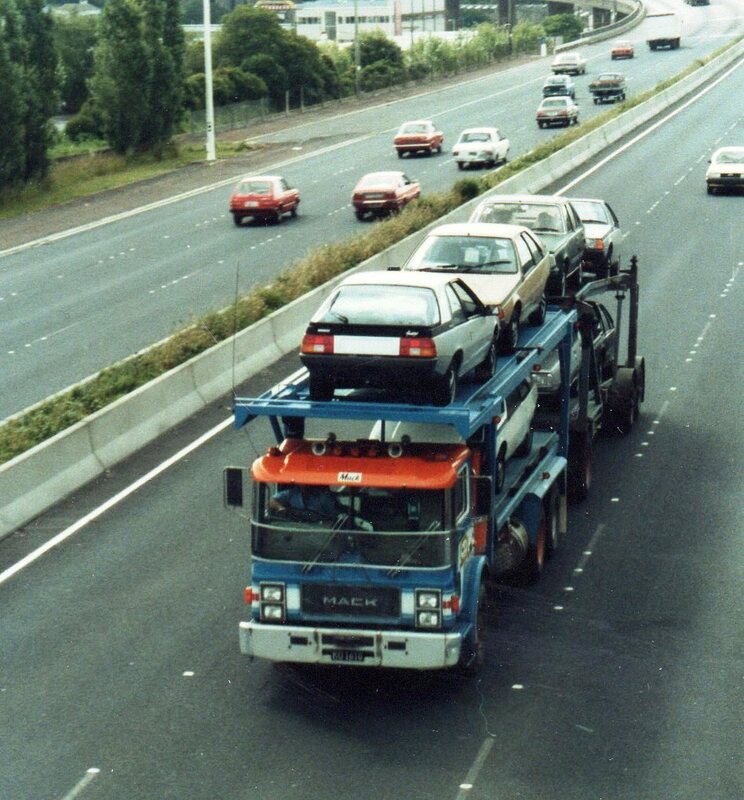 One still sees the odd M series Mack on the road, but where did all those Renault Fuegos go. 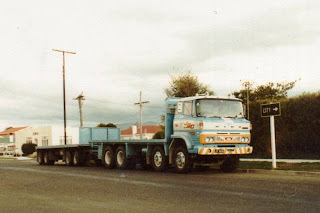 Jarret Sandes of Palmerston North operated this smartly painted Hino. Unusual to see this model as an 8 wheeler. 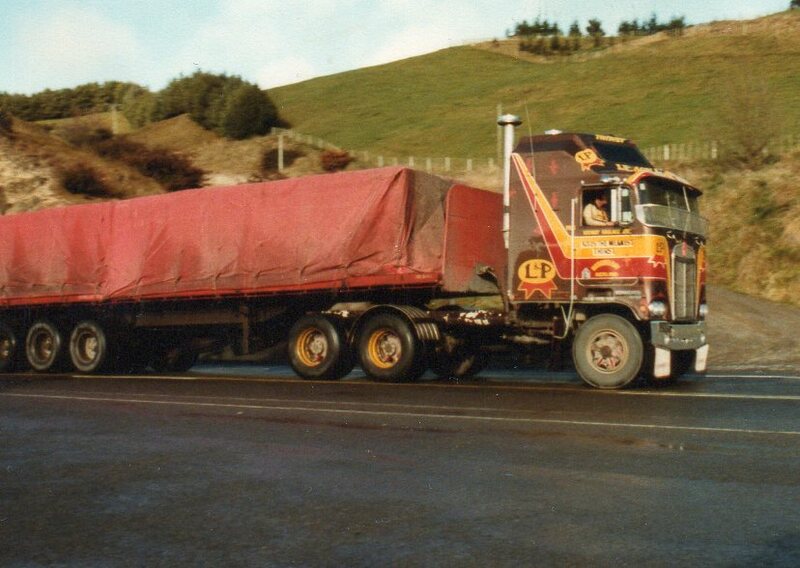 TD Haulage KW with 8V92 to push it along. 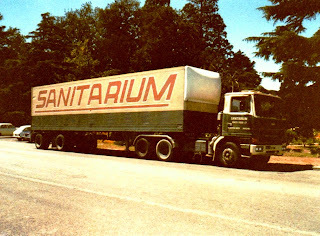 Another Detroit powered rig was this Bedford TM of Sanitarium Health Food Company. ERF swb 6 wheeler and 4 axle trailer approaches the top of the climb up the Kaimai range. 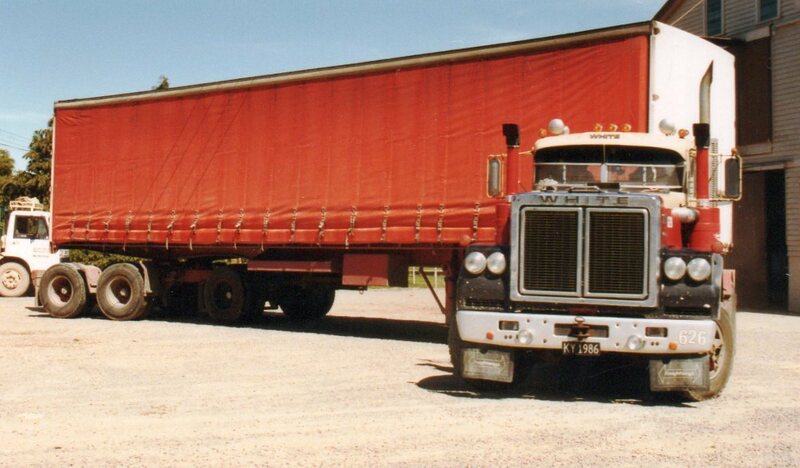 Mack F series 8 wheeler tipper of Don Phillips Trucking. Produce Freighter's White Road Boss and self steering trailer performs a tight turn. Where did all those Fuegos go? Probably most of them have succumbed to the dreaded tin-worm by now, I would say. I know there was one in Greymouth last year. I always thought they were an attractive looking coupe, different enough to not be mistaken for anything else, but not too different to be ugly. The rare turbo model was a real ball of fire, justifying its name of Fuego.